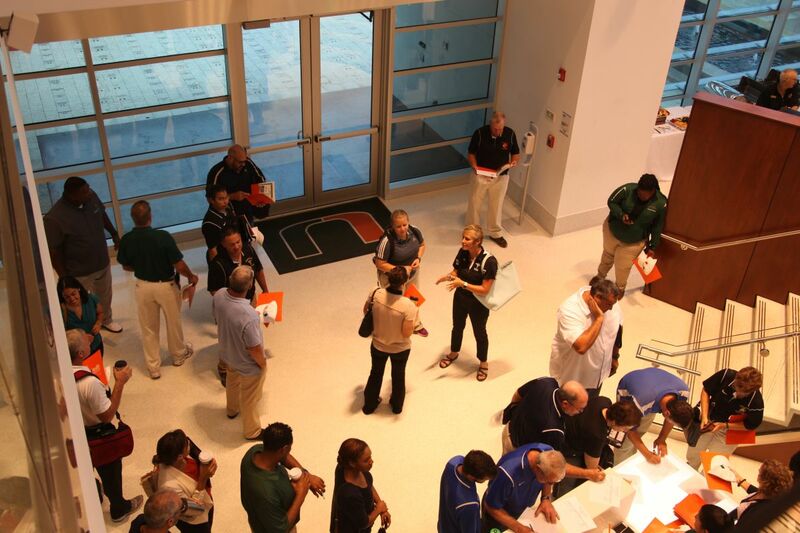 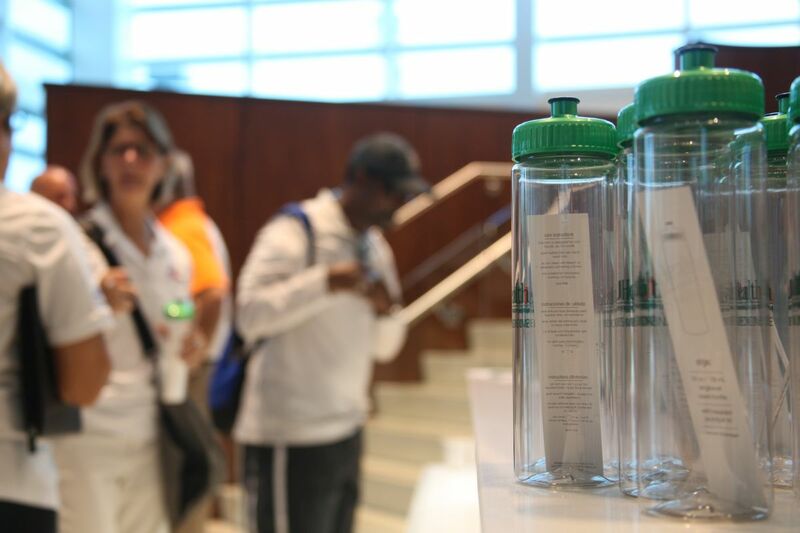 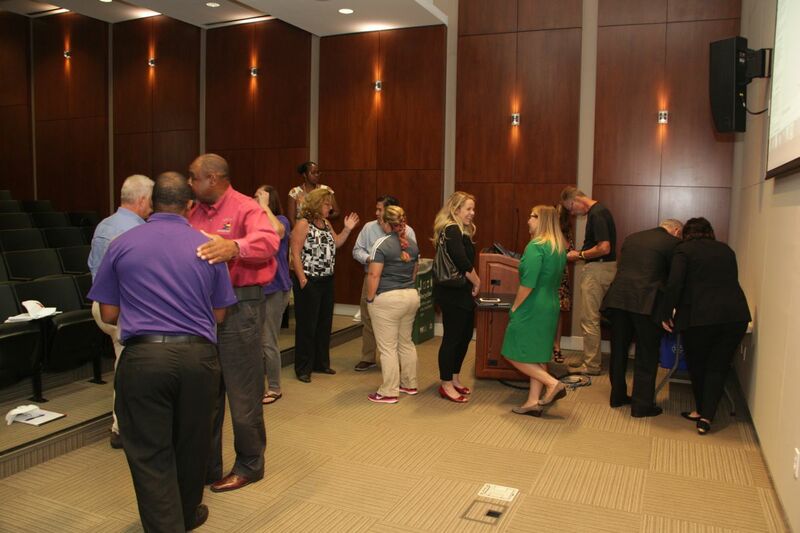 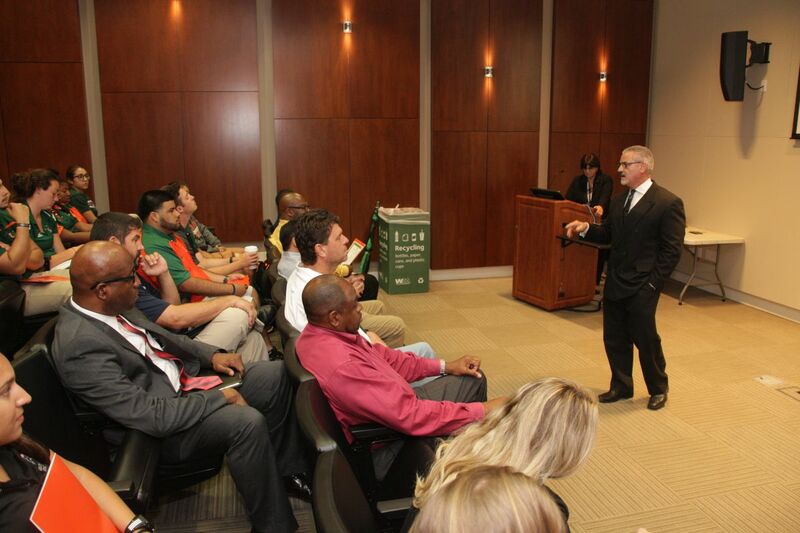 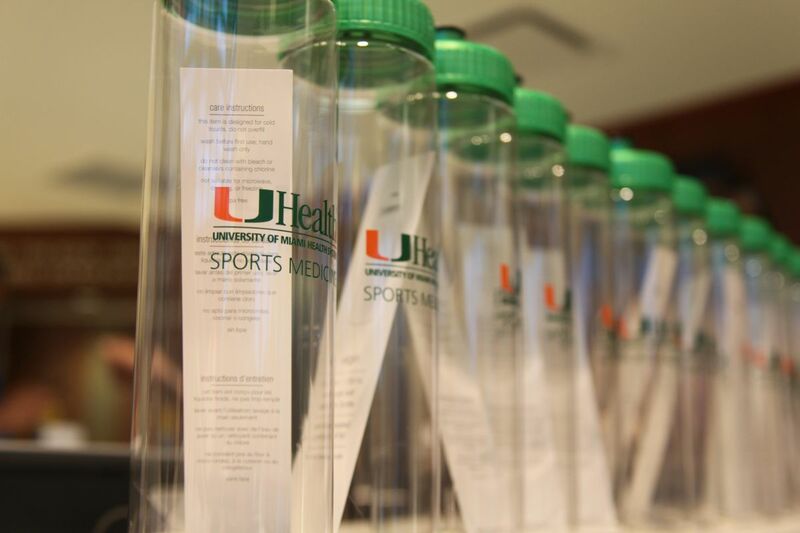 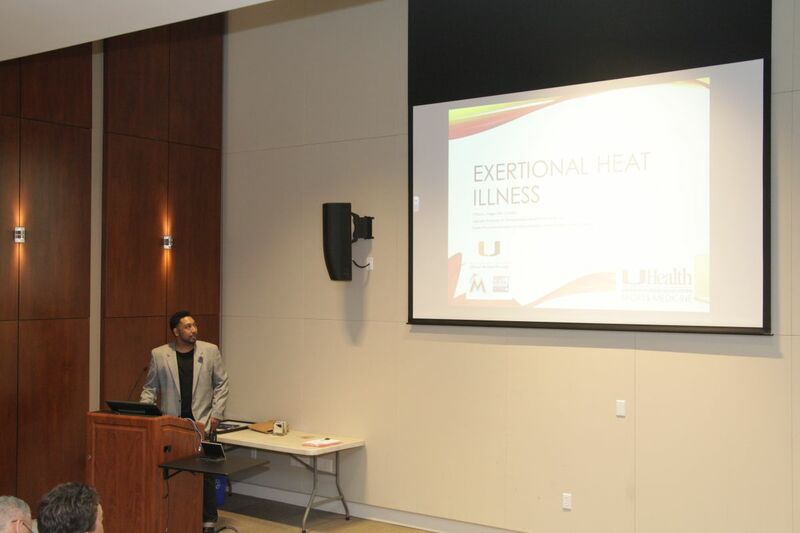 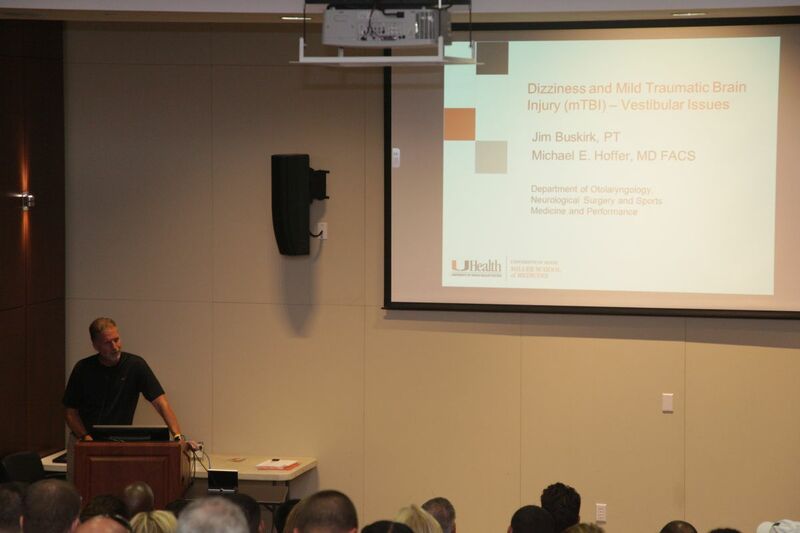 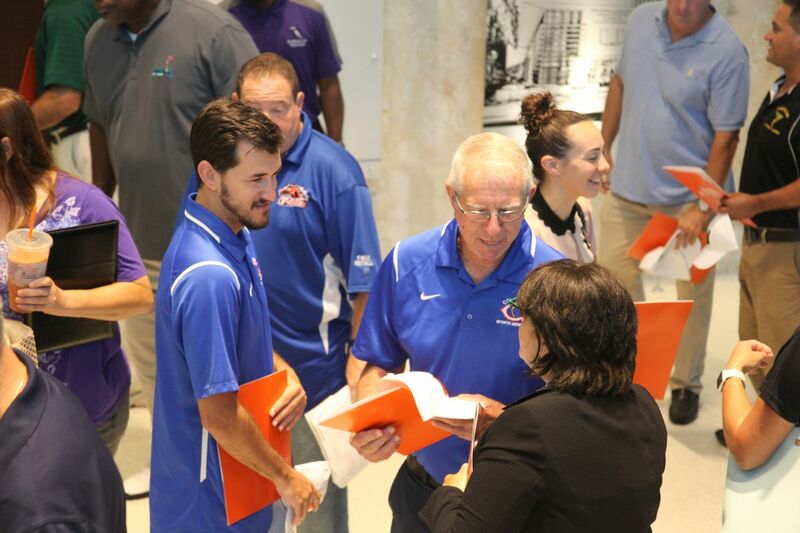 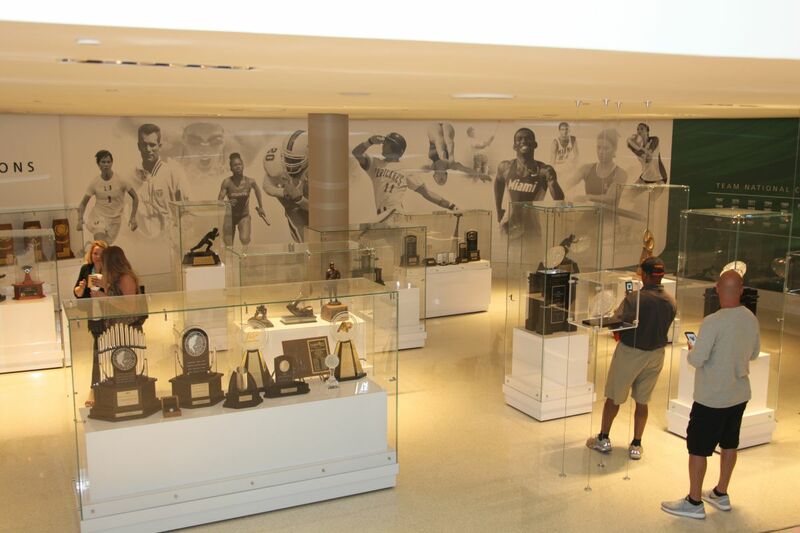 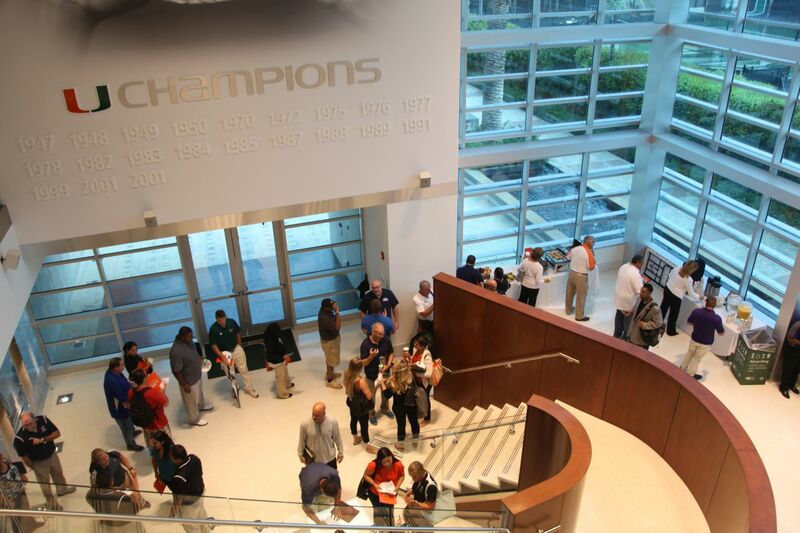 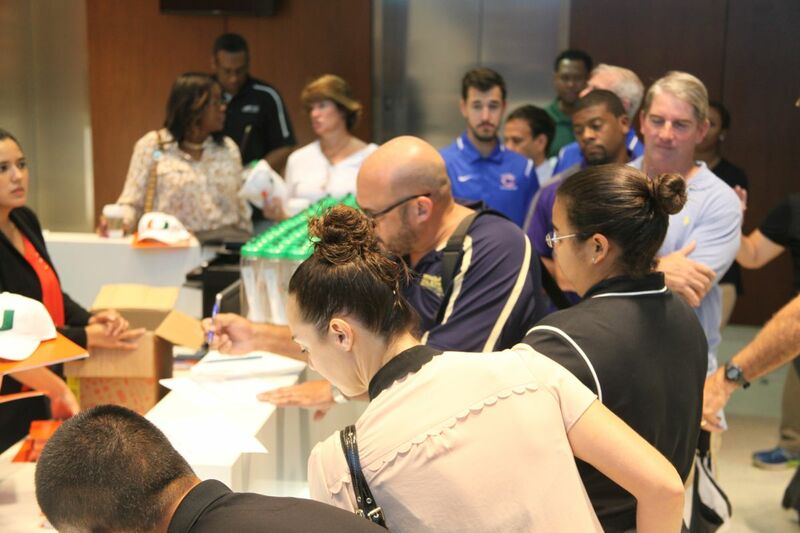 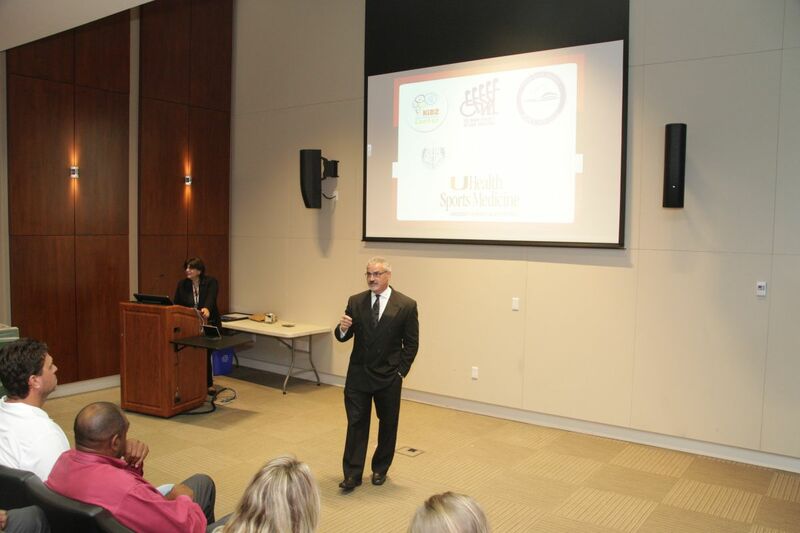 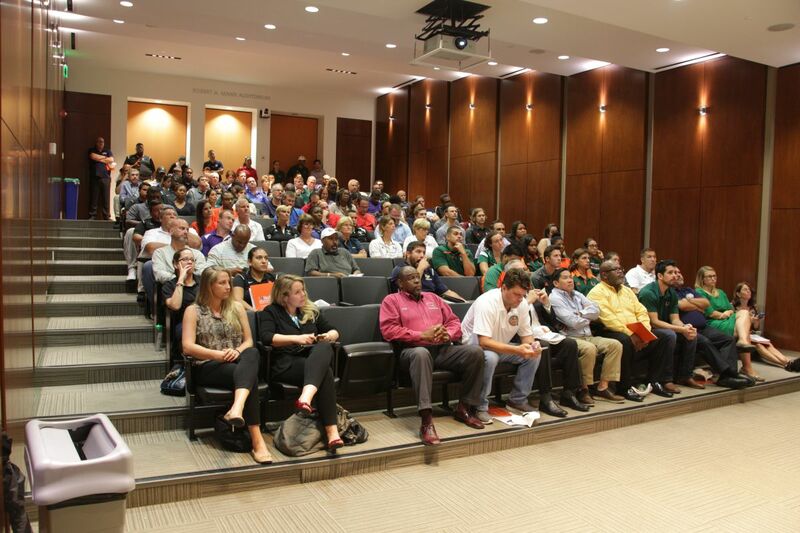 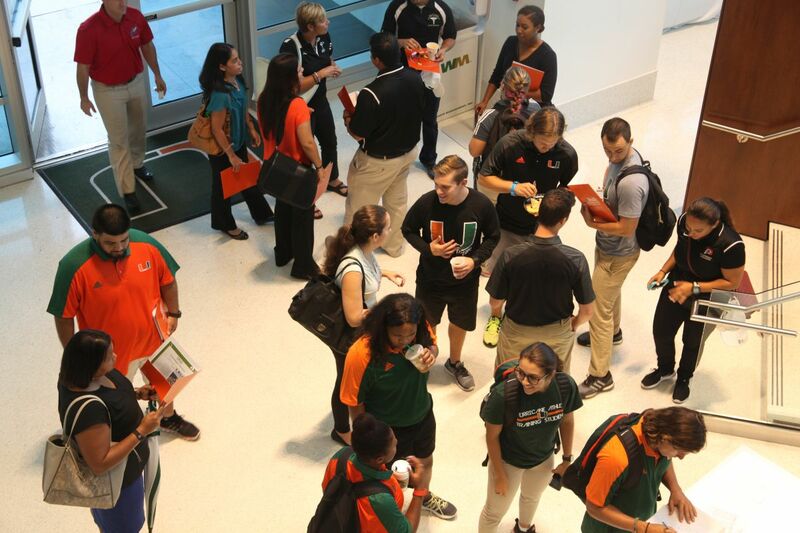 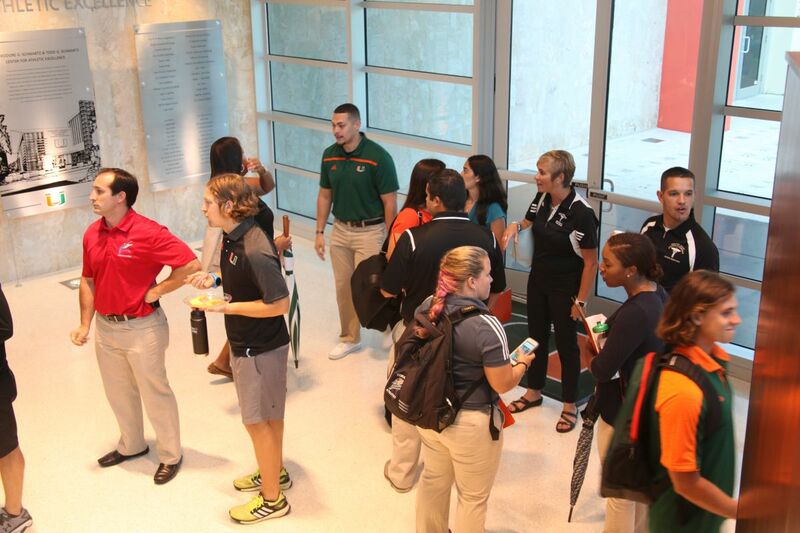 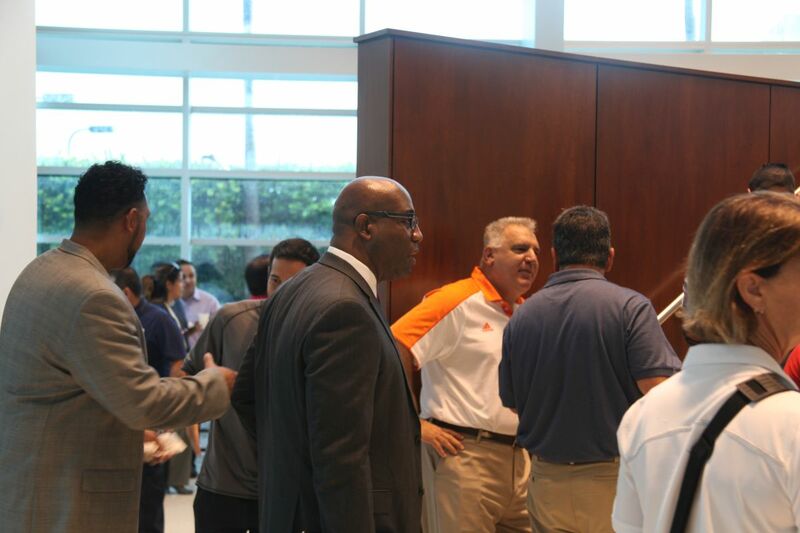 This Tuesday, the UConcussion program hosted our annual Concussion Workshop for the Certified Athletic Trainers and Athletic Directors of Miami-Dade County Public Schools. 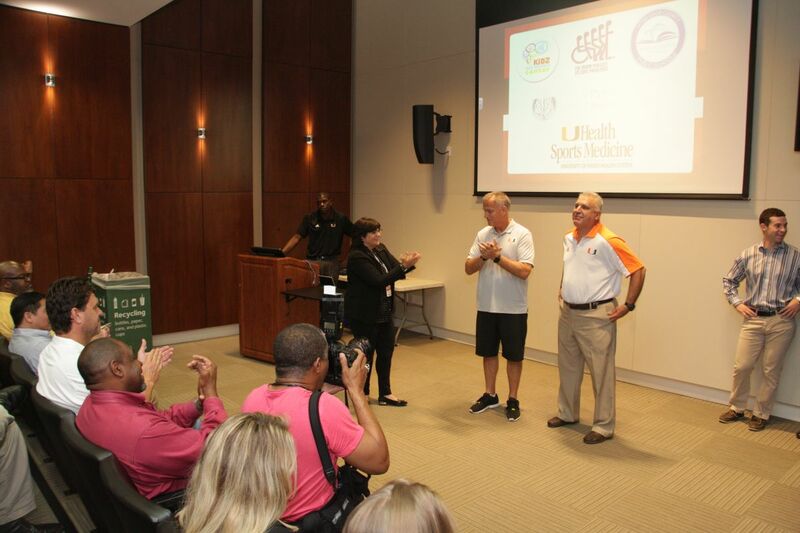 This was our 20th anniversary celebrating the initiation of the concussion clinic. 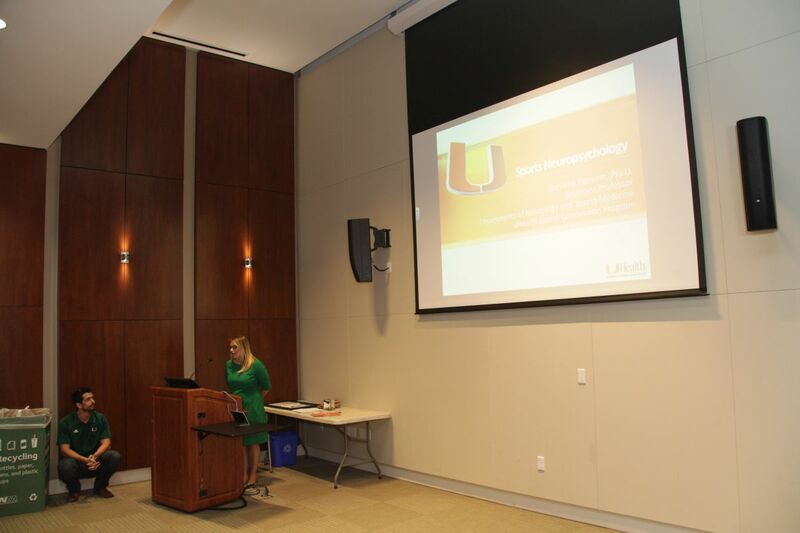 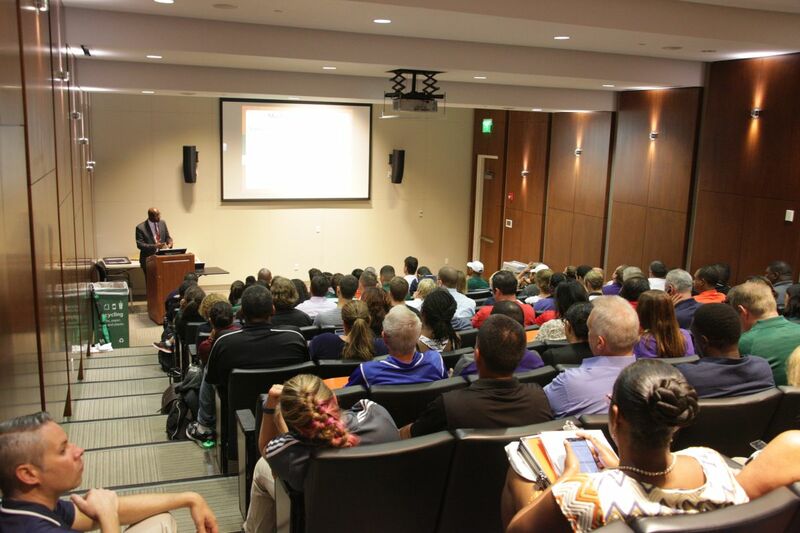 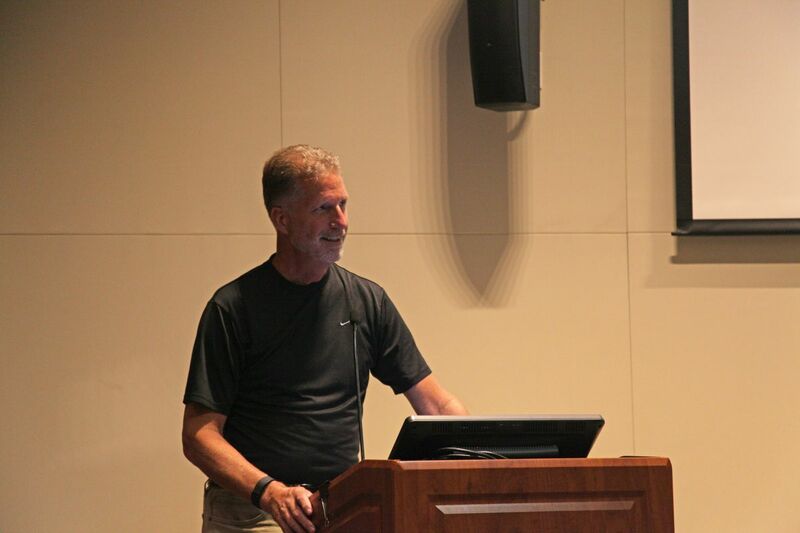 The workshop, in conjunction with UHealth Sports Medicine, is held each year for all UConcussion to exchange the latest information and new reporting procedures for high school concussion injuries. 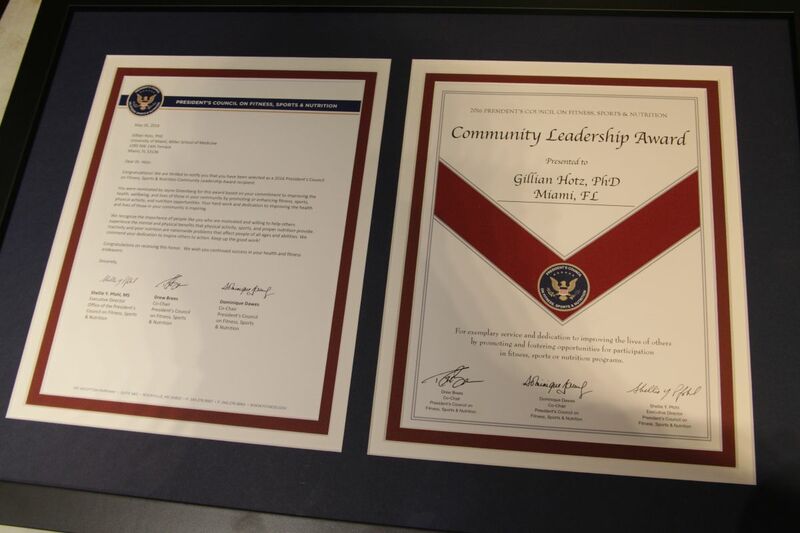 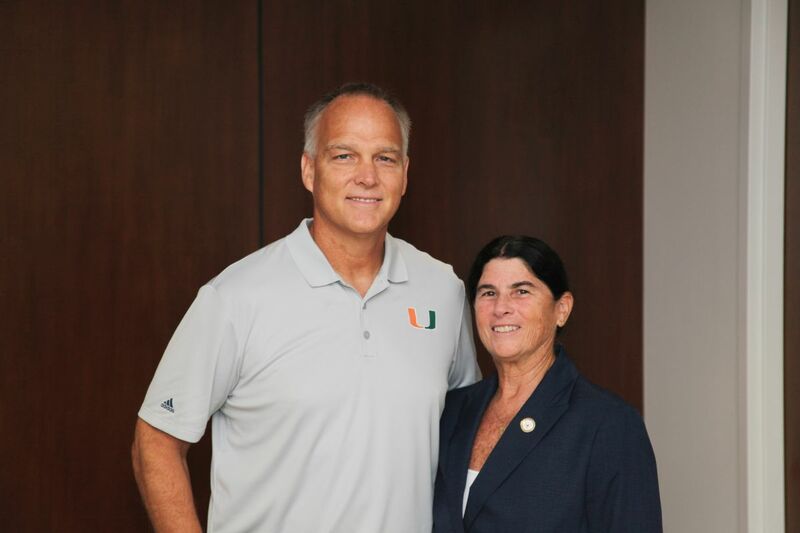 The meeting was kicked off by UConcussion’s director, Gillian A. Hotz, Ph.D, receiving the Community Leadership Award from the President’s Council on Fitness, Sports, & Nutrition. 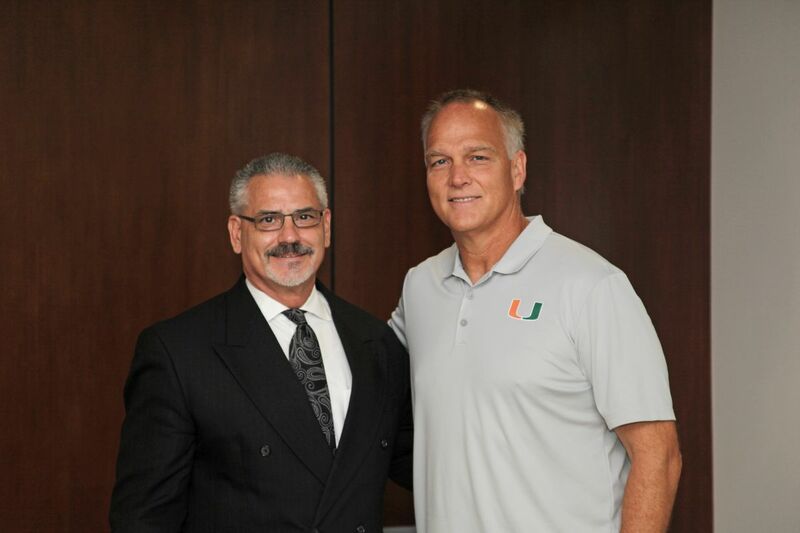 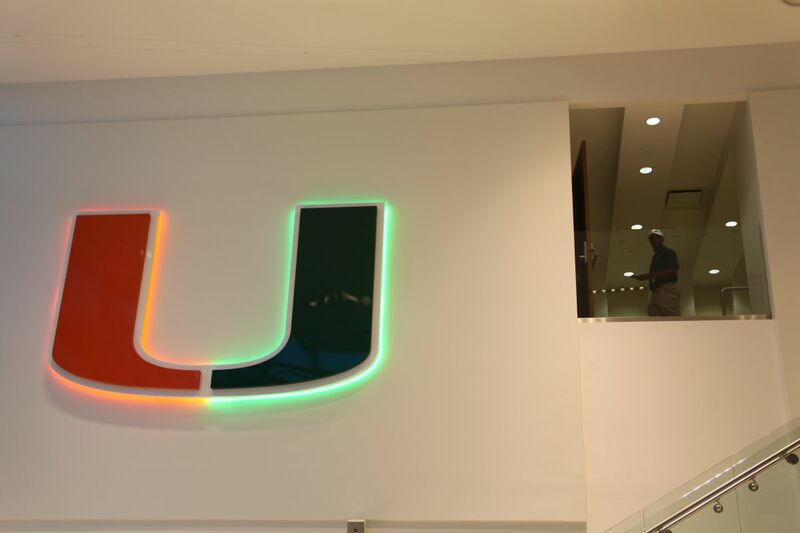 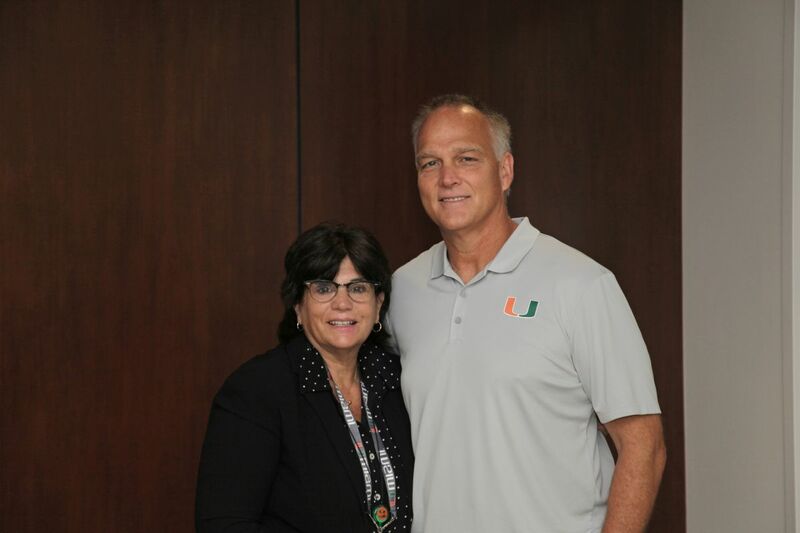 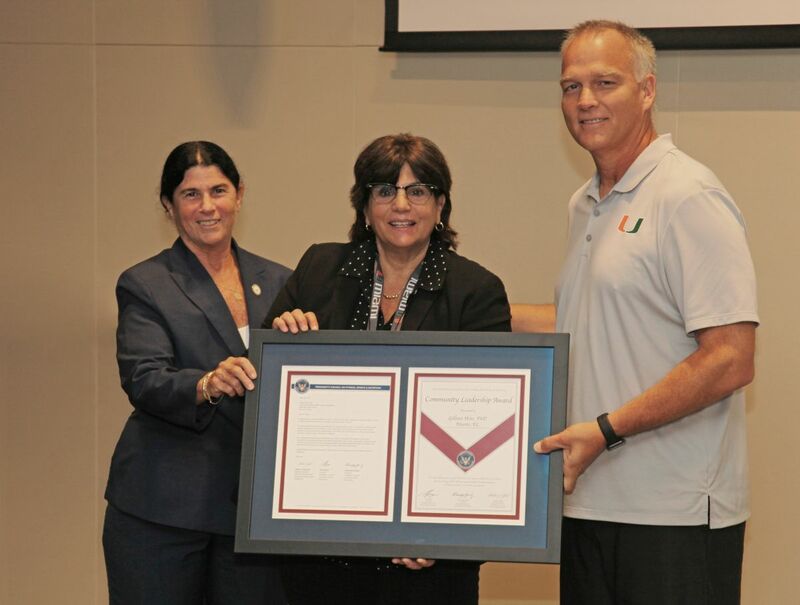 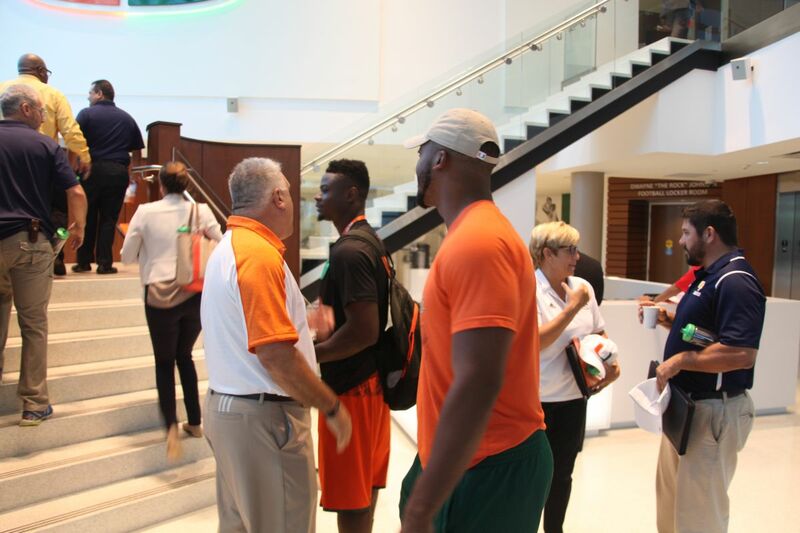 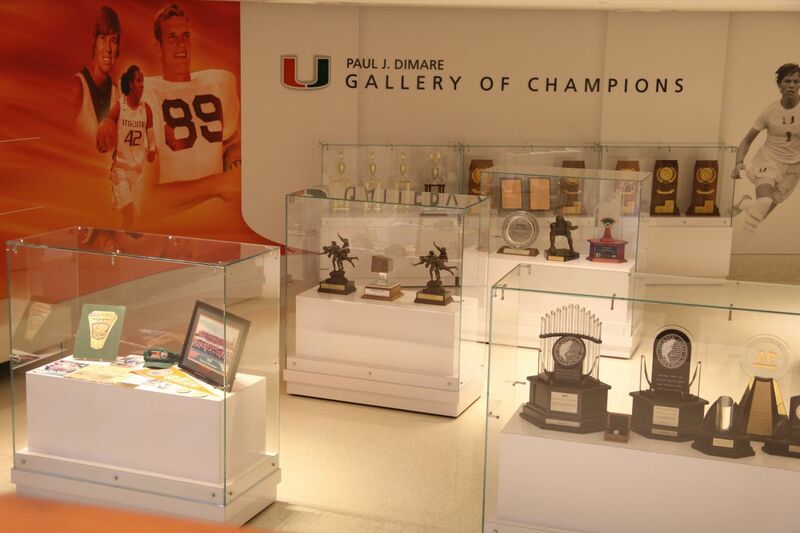 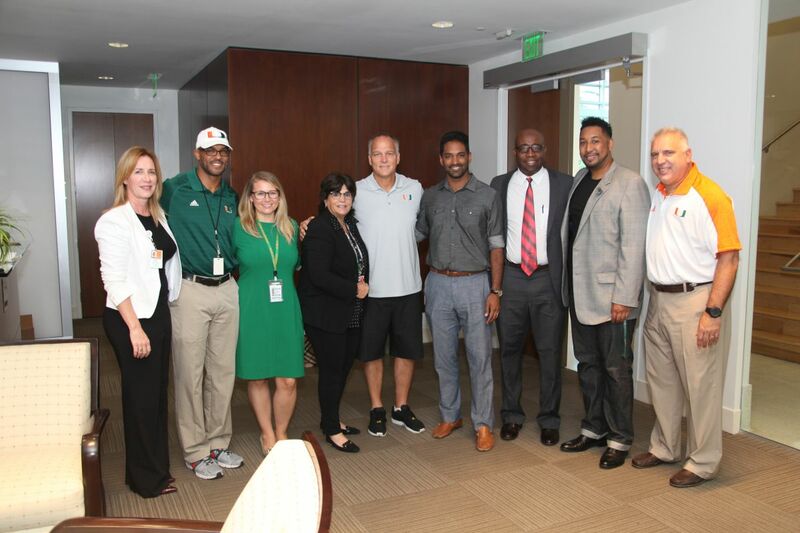 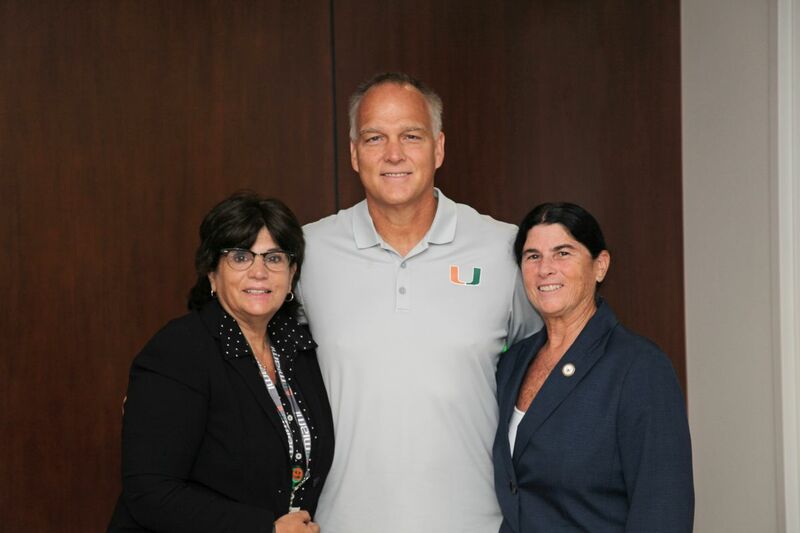 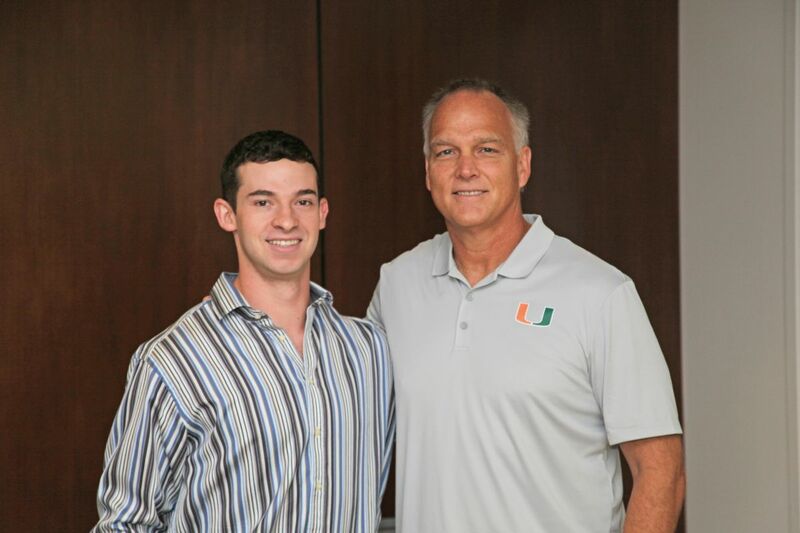 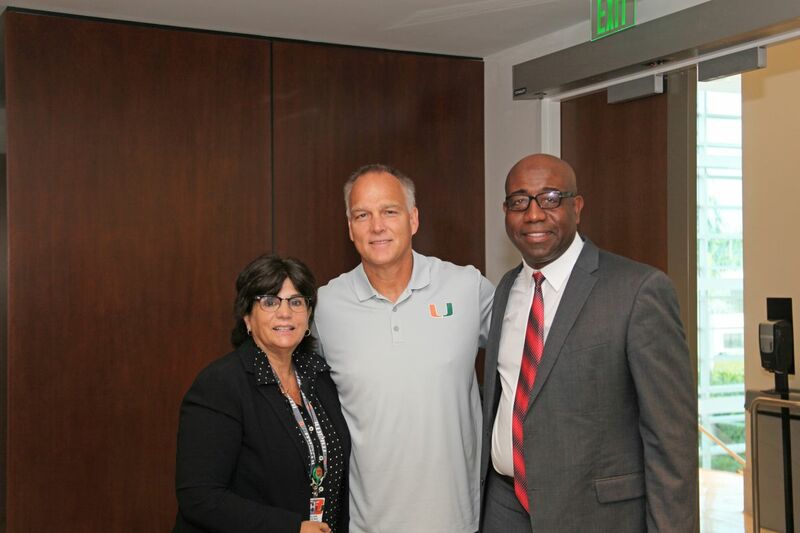 The award was presented by Dr. Jayne Greenberg, District Director of Physical Education, Health Literacy, and JROTC of Miami-Dade County Public Schools; and the University of Miami Hurricanes’ Head Coach, Mark Richt. 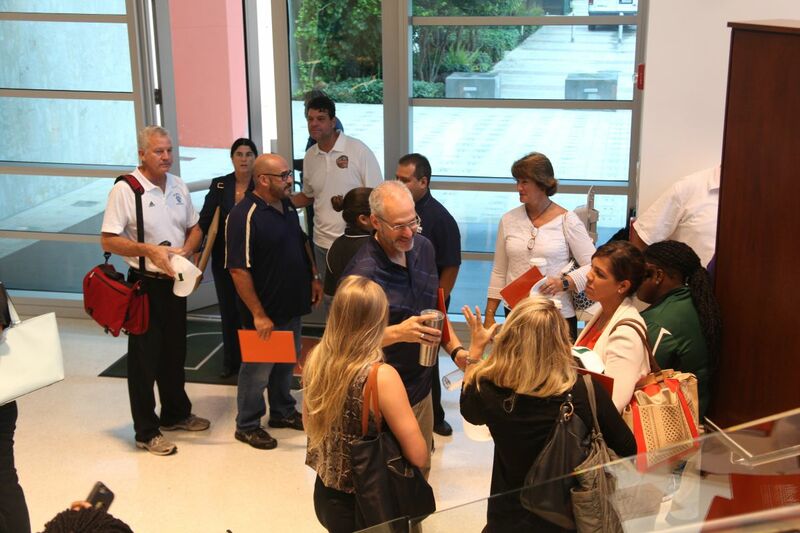 Ben Riestra introduced the group to the Lennar Foundation Medical Center, opening later this year on the Coral Gables campus. 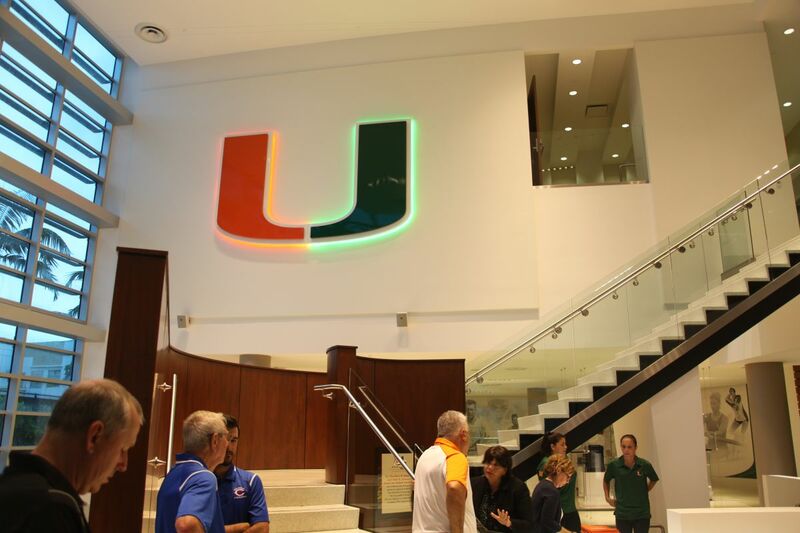 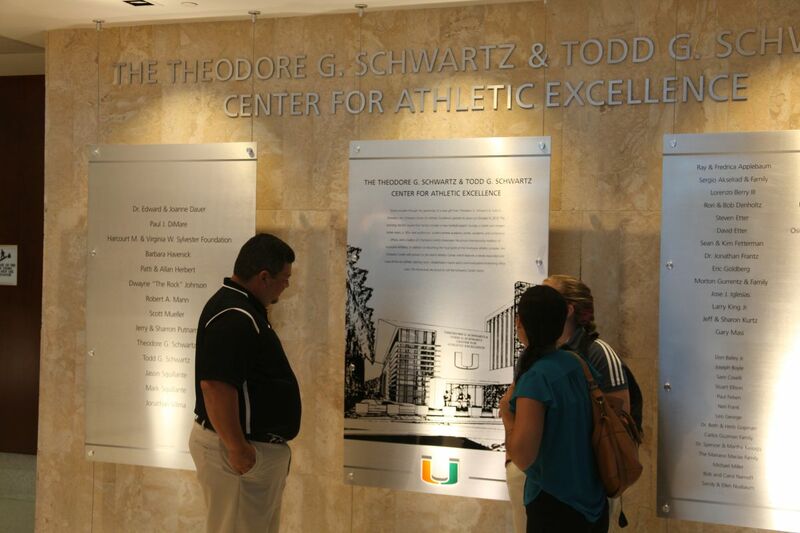 The building will be the new home of UHealth Sports Medicine and the concussion clinic. 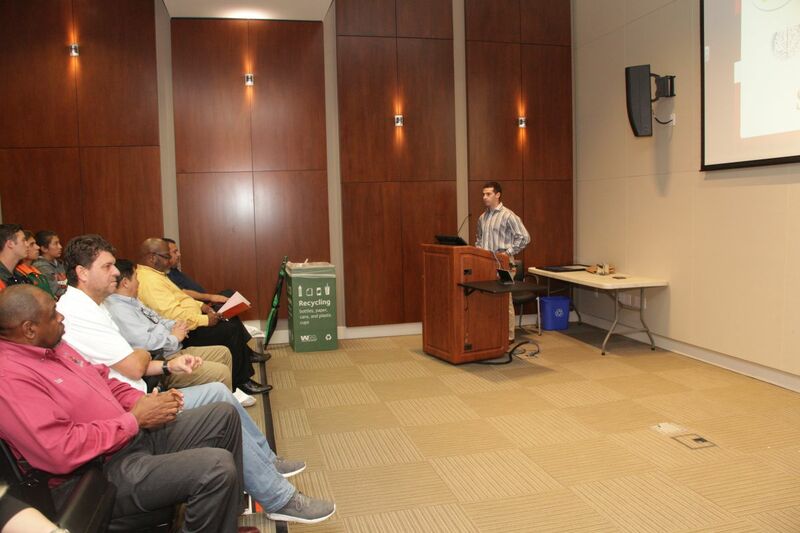 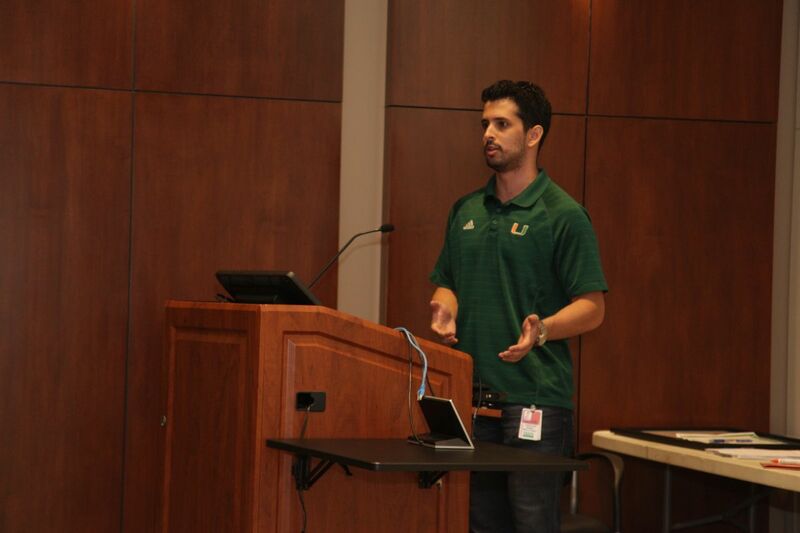 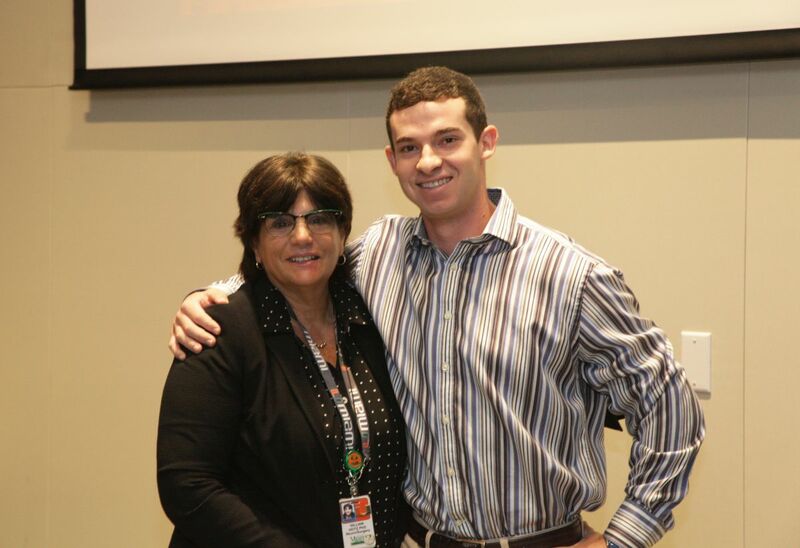 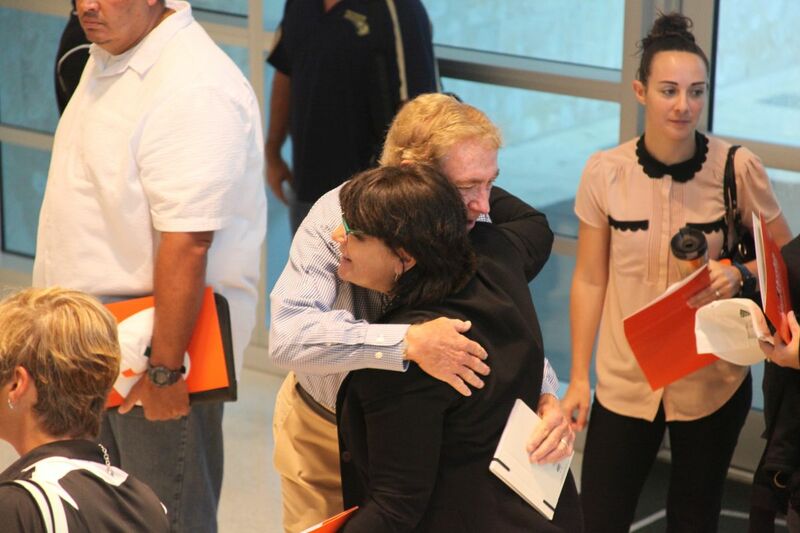 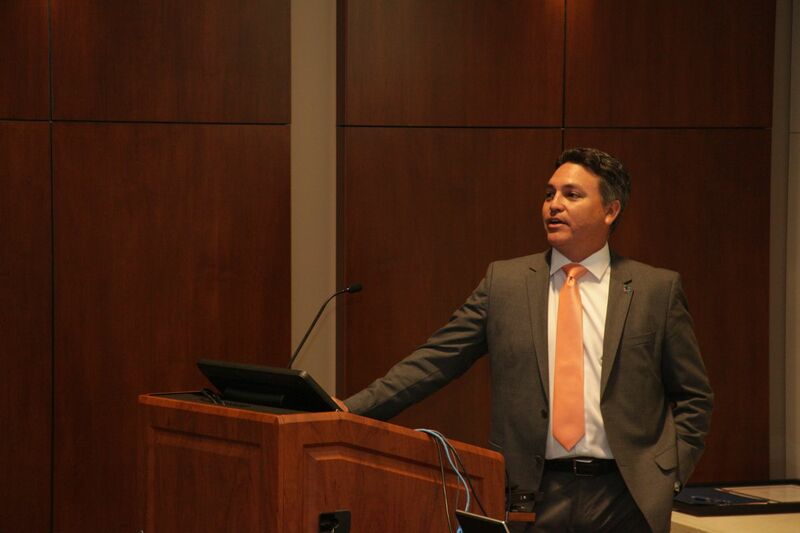 David Goldstein, co-founder of the Countywide Concussion Care program and a Ransom Everglades alumni; now a student at Princeton University, spoke of the countywide concussion program and the evolution of concussion reporting in Miami-Dade County. 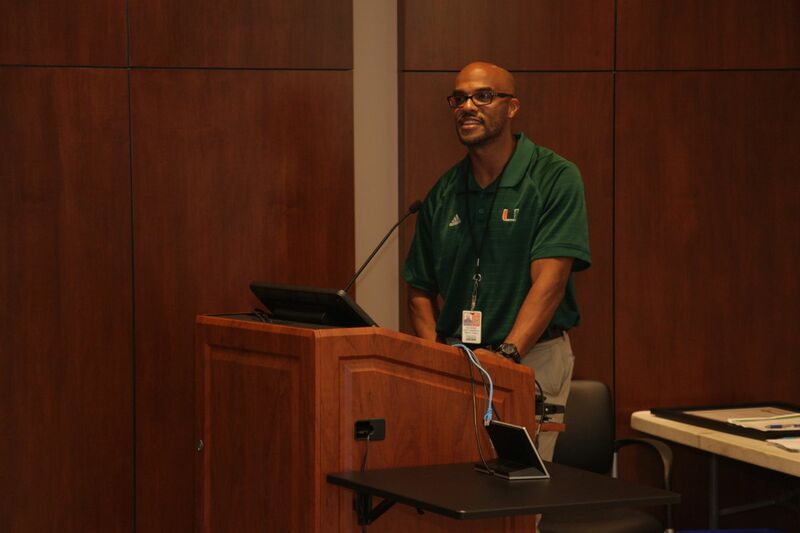 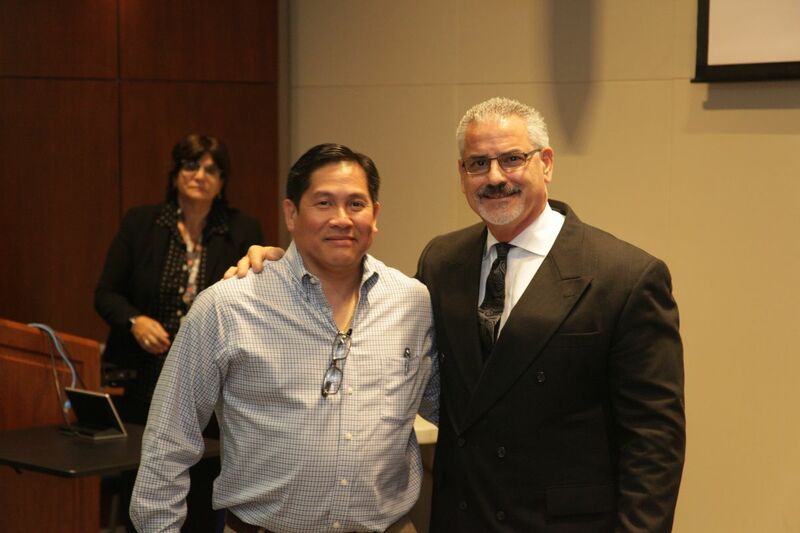 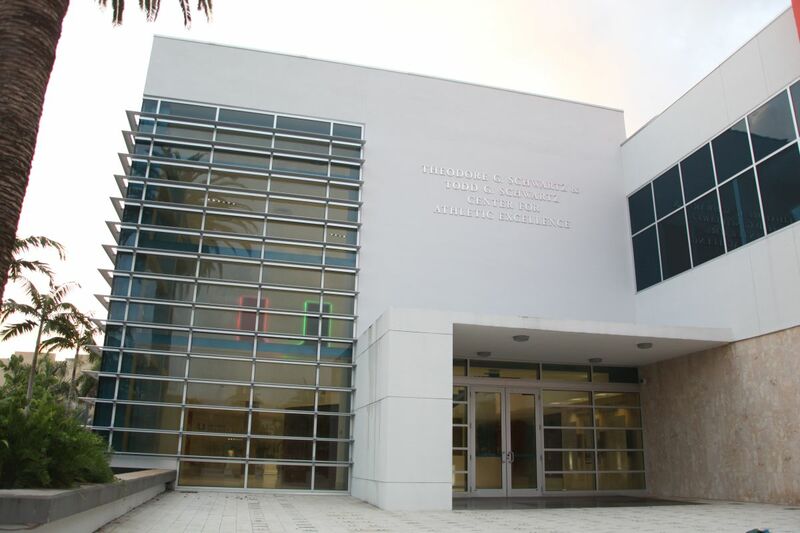 Mr. George A. Núñez, Administrative Director of School Operations for the Division of Athletics, Activities, and Accreditation at Miami-Dade County Public Schools introduced the new director for the Greater Miami Athletic Conference (GMAC), Mr. Dung Nguyen. 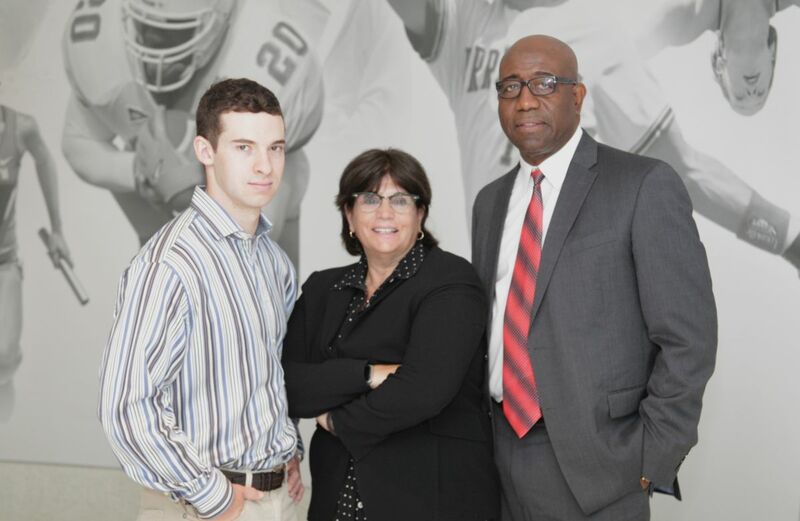 The UConcussion program is expanding, and welcomes to our team James Buskirk, PT, vestibular therapy; Danielle Ransom, PsyD, neuropsychology; and Dr. Mohan Kottapally, a neurocritical care physician. 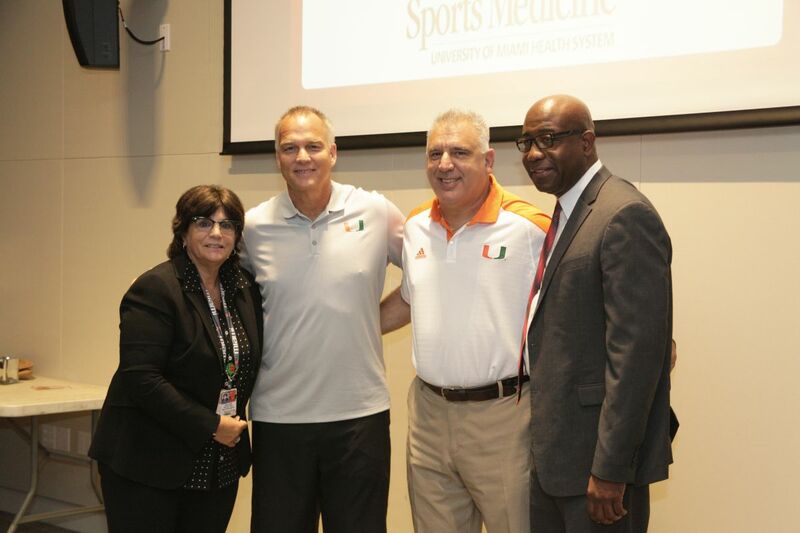 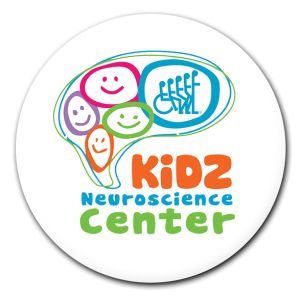 They will be joining our team of Dr. Kester J. Nedd, medical director of the concussion program; Dr. Clifton Page, sports medicine physician; and Jonathan Siegel and Ray Crittenden, program coordinators for the UConcussion program. 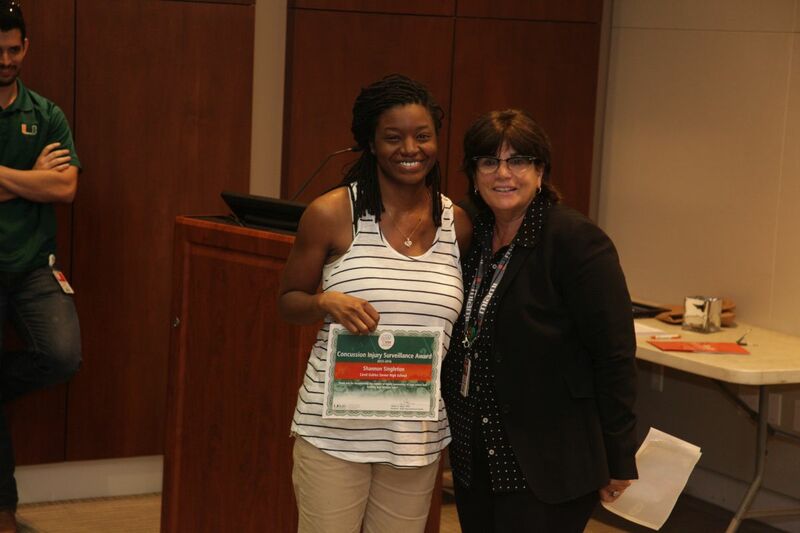 This year, we awarded three of the Miami-Dade County Public Schools ATCs for their commitment and dedication to the 6-Steps to Play Safe Protocol. 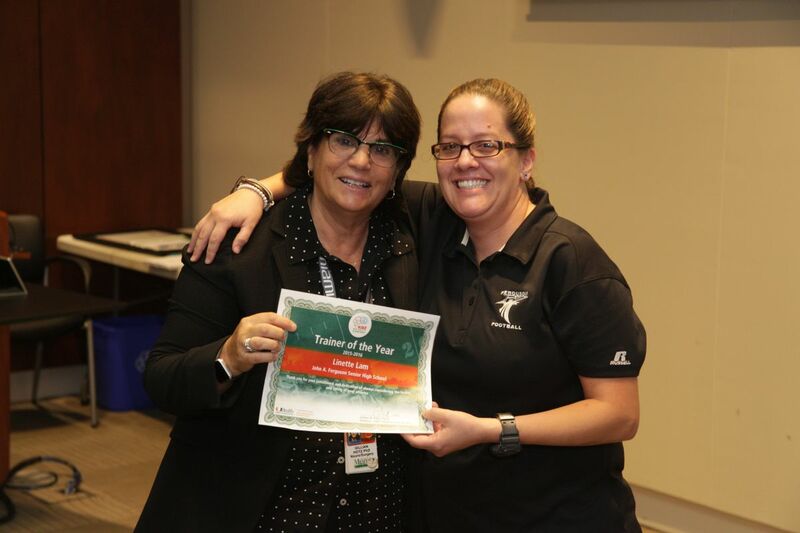 Congratulations to Shannon Singleton, winner of this year’s 2016 Injury Surveillance Award; Michelle Benz, 2016 King-Devick Award winner; and Linette Lam, UConcussion Trainer of the Year. 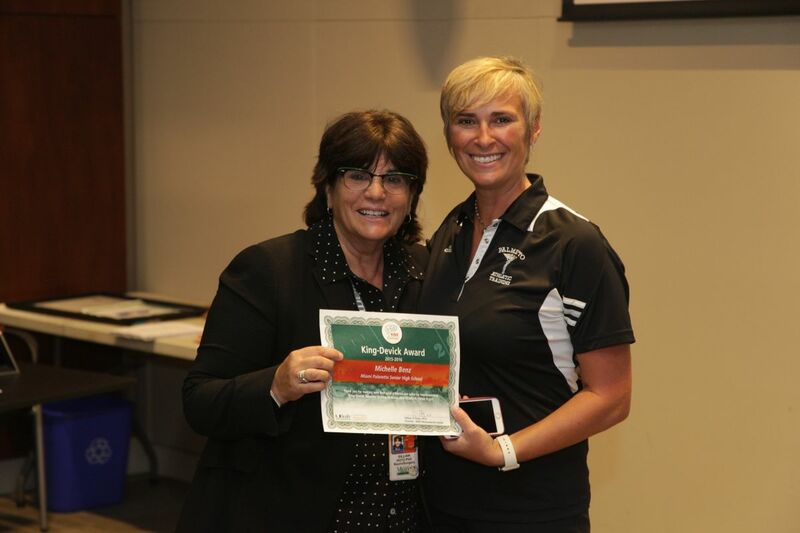 Samantha Figueroa of King-Devick presented new information about their concussion screening test, which is now an entirely mobile, tablet-based system for sideline testing. 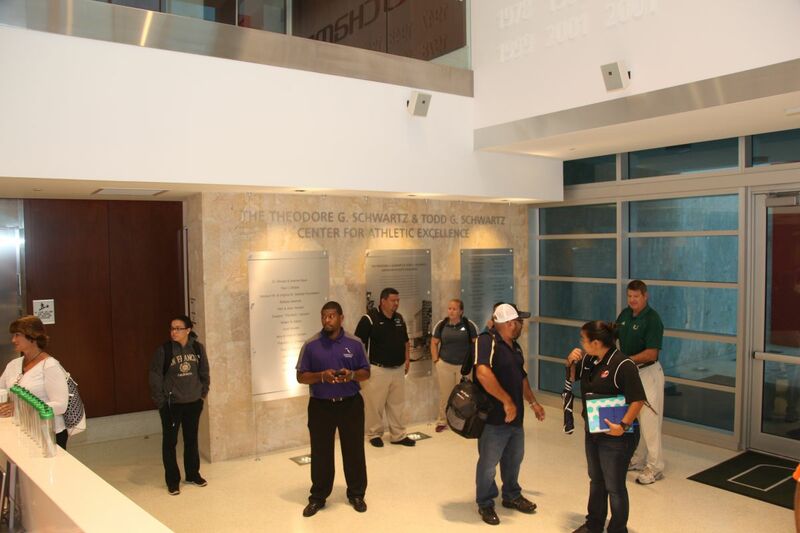 We will require all high school football players this year to be baseline tested with the King-Devick tool this year.